Minimum System Requirements: Operating System: Mac OS X 10.5.4 (Leopard) CPU Processor: Intel Core 2 Duo CPU Speed: 2.0 GHz Memory: 1 GB RAM Hard Disk Space: 8.0 GB + 1 GB Swap File Video Card (ATI): Radeon X1600 Video Card (NVidia): GeForce FX 7300 Video Memory (VRam): 128 MB Media Required: DVD-ROM Peripherals: Macintosh mouse and keyboard Multiplayer Requirements: Internet (TCP/IP) or LAN (TCP/IP) play supported Internet plays requires broadband connection Supported Video cards: NVIDIA GeForce 7300, 7600, 8600, 8800 NVIDIA GeForce Quadro FX 4500 ATI Radeon X1600, X1900, HD 2400, HD 2600 Recommended System Requirements: Operating System: Mac OS X 10.5.4 CPU Speed: 2.4 GHz Video RAM: 256 MB NOTICE: This game contains technology intended to prevent copying that may conflict with some disk and virtual disk drives. NOTICE: Intel integrated video chipsets are not supported. NOTICE: Apple Intel Chipsets only. Power PC Processors (G4 and G5) are not supported. NOTICE: This game is not supported on volumes formatted as Mac OS Extended (Case Sensitive). 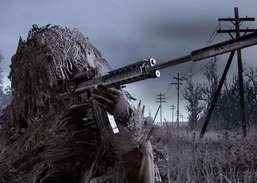 Download the latest update for Call of Duty 4: Modern Warfare.Featuring a tense storyline, filled with plot twists, Call of Duty 4 thrusts players into battle like never before. 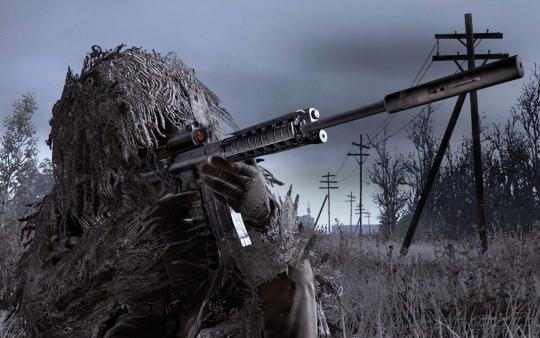 With amazing special effects, including rim-lighting, depth of field, texture streaming and character self-shadowing, players are enlisted into one of the most photo-realistic gaming experiences imaginable.The community-oriented Call of Duty 4 multiplayer gameplay features a robust leveling system, variety of unlockable perks, hot-join and matchmaking, as well as create a class and party capabilities to ensure that players of all skill levels can join in the fun.Additionally over 100 challenges and a host of new game environments and modes deliver unlimited possibilities. Infinity Ward has also included Kill-Cam, a fan favorite feature that they created in Call of Duty 2, which allows for spectator instant replays. Race your marbles through moving platforms.